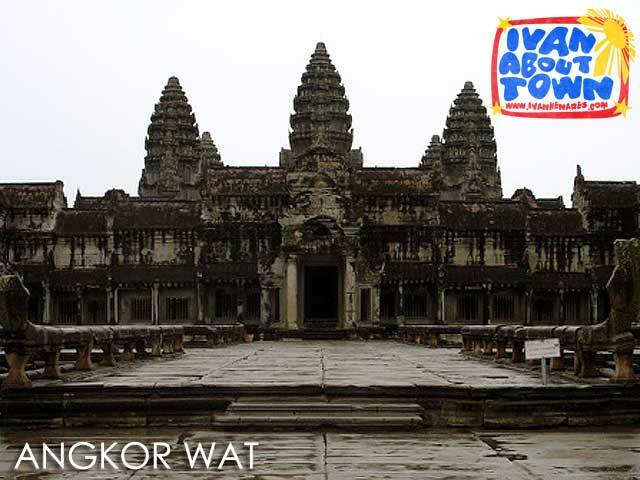 Angkor Wat is the largest religious monument in the world and the pinnacle of classical Khmer architecture. 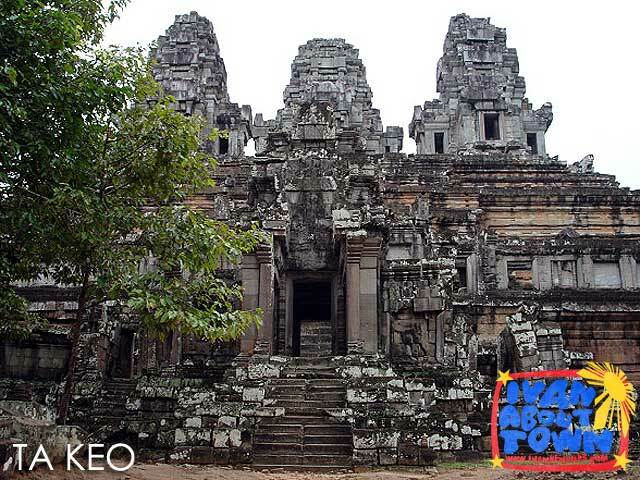 The temple is actually one of several in the temple complex of Angkor, situated several kilometers from Siem Reap, the gateway to Angkor. My first major Southeast Asian trip in 2006 was a two-week journey that took me to five countries: Malaysia, Singapore, Cambodia, Thailand and Laos. There were just a few travel blogs then. And mine was amusingly casual and conversational. Little did I know that my wanderlust for travel would bring me places. 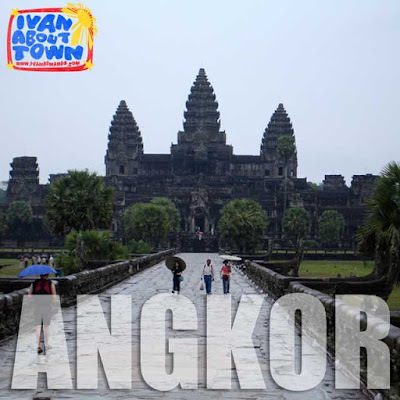 One of my stops during that trip was Angkor. There are several ways to get to Siem Reap. The most convenient of course is by air. There are direct flights from major Southeast Asian cities including Kuala Lumpur, Bangkok, Singapore and Ho Chi Minh City. Unfortunately for the Philippines, there are no direct flights to Cambodia. I took the land route from Phnom Penh which is a six-hour bus ride. You can also access Siem Reap by land from Bangkok via the Aranyaprathet-Poipet border crossing. I remember my bus trip lasted about nine hours. Or you can also hop on a bus from Ho Chi Minh City to Phnom Penh which is about six-hours. Then take the six-hour bus to Siem Reap. Another option is to take the river ferry between Phnom Penh and Siem Reap which is also six hours, But this will take you through the scenic Tonle Sap River and Lake. The temple complex of Angkor is massive. The different temples are actually several kilometers apart. And unless you have a lot of time to spare and are used to walking great distances, it's best to hire a motodup (motorcycle taxi), tuktuk or moto-romauk (motorcycle trailer), or van to take you around. You can also opt to rent a bike. 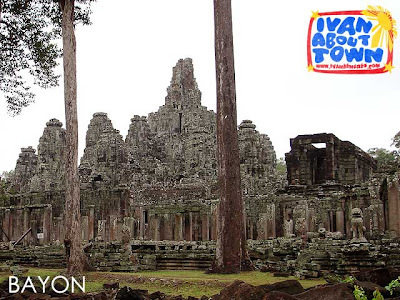 Note that foreigners are required to purchase passes to be able to visit Angkor. There's a one-day (US$20), three-day (US$40) and seven-day (US$60) pass. With the tuktuk, I was able to cover a lot of ground with the one-day pass. But others visitors would get longer passes to be able to explore the archaeological park more thoroughly or walk between temples. 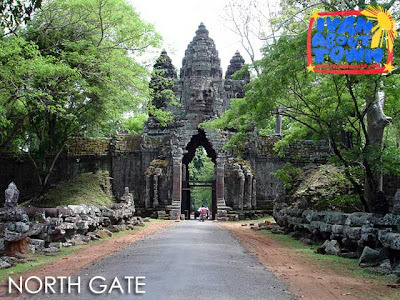 The main park entrance is three kilometers from Siem Reap. There are two popular routes you can follow. The Petit Circuit, aside from Angkor Wat, Bakheng and Angkor Thom, includes Thommanon, Chaosay Tevoda, Spean Thma, Hospital Chapel, Ta Keo, Ta Nei, Ta Prohm, Kutisvara, Banteay Kdei, Srah Srang and Prasat Kravan. 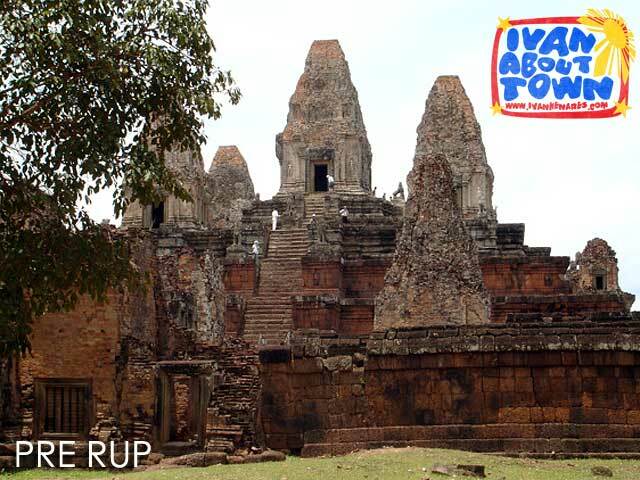 The Grand Circuit, in addition to those mentioned includes Pre Rup, East Mebon, Ta Som, Krol Ko, Neak Pean and Preah Khan. With the motodup, I was able to do the Grand Circuit in a day. 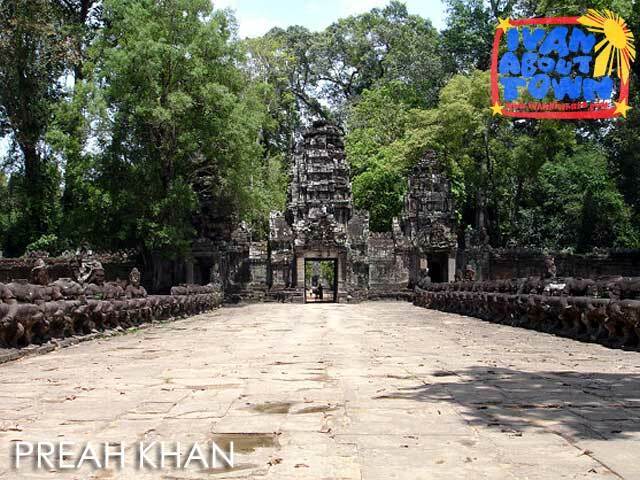 Read the entry of my 2006 visit to the temples of Angkor. Wow, the rise of the sleepy Khmer Kingdom! The next big thing in SE Asia and another threat to the Philippines in the spot for the most lagged behind SE Asian economy. LOL!